We redesigned our dining room last year. 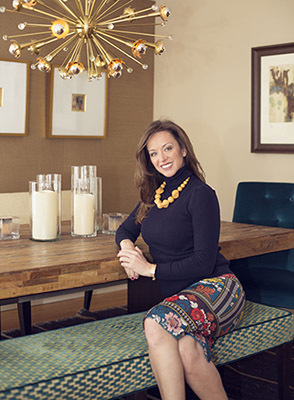 A velvet flamestich bench flanks the dining table, a strong starburst chandelier and colors of turquoise and amber fill the room to create a mid century modern look. I was inspired by that design to create the Vintage Turkey Collection. 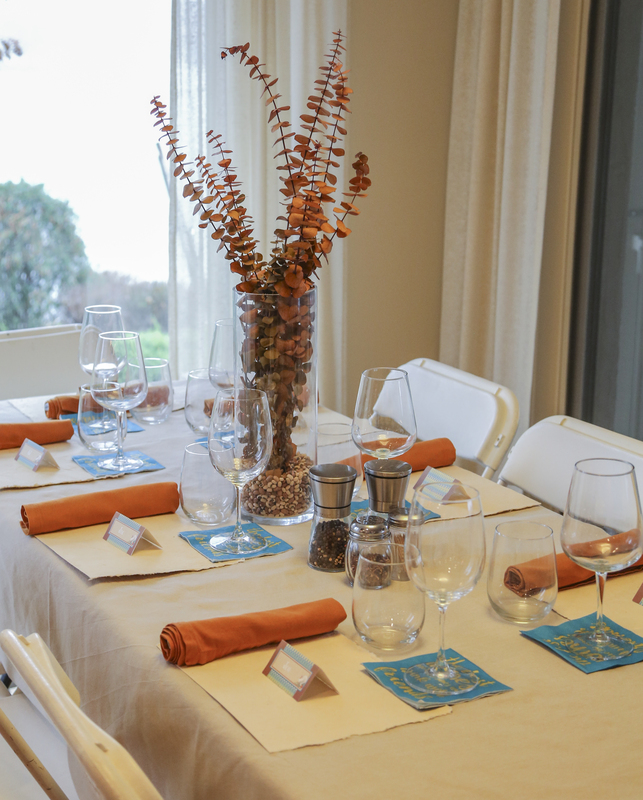 Now you can have a stylish and organized Thanksgiving too! 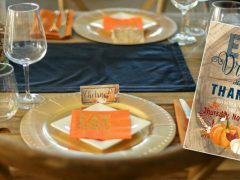 I created the Vintage Turkey invite using the flamestich and colors of the dining room. 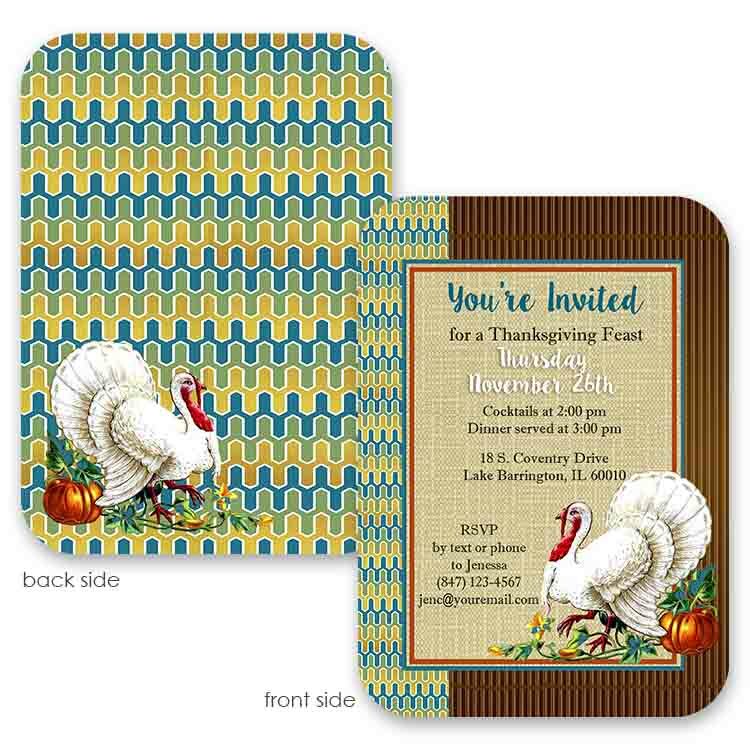 Dont have time or $$ to spend on printed invitations? No problem! You can purchase the digital image and send thru Evite or Punchbowl using your custom design, or by Email! Upon arrival, guests were greeted with a Fall welcome! You can download and print this 5×10 welcome sign for only $4. Frame sold separately, but has so many uses thru the year! Pumpkins, hay bales and fall scented candles completed the scene. 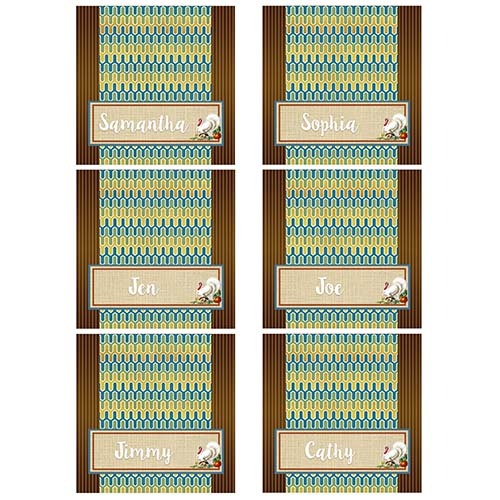 Simply download, print, cut and write in your own names! Pre-printed names available upon request. 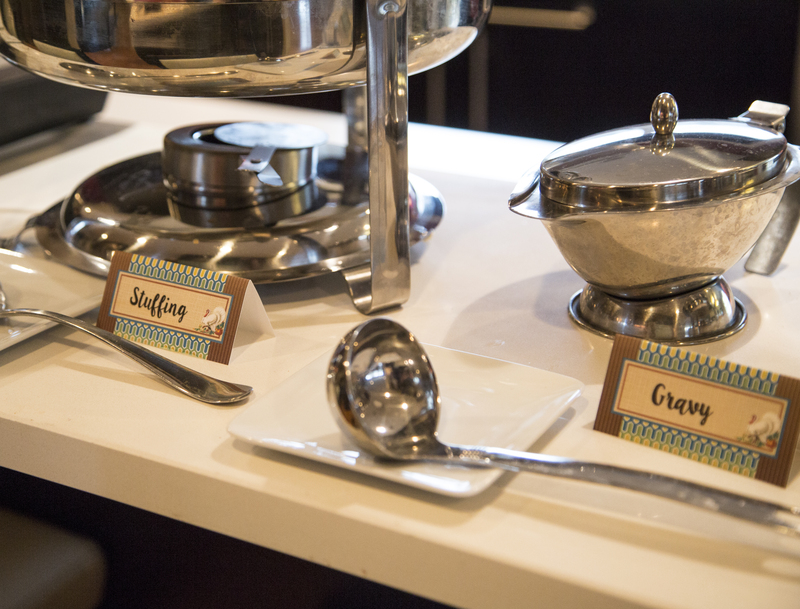 You can use the above blank name tags to write in your food items, or purchase pre-printed food tags. 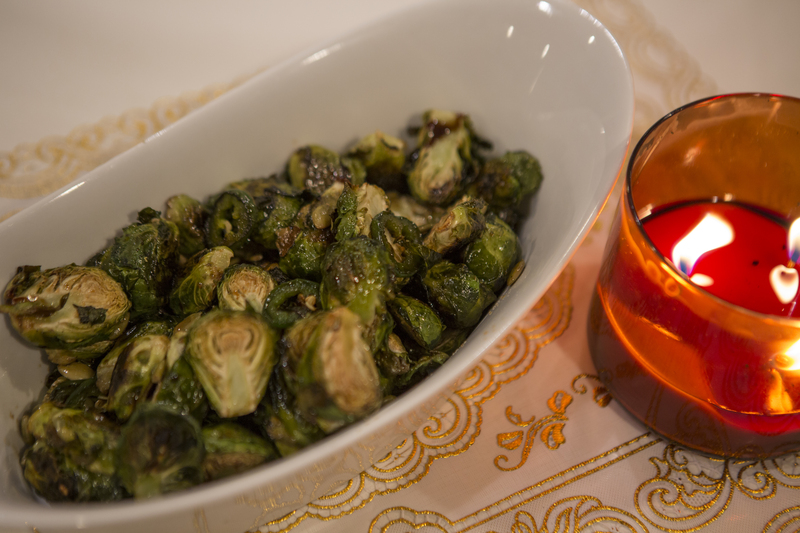 Change foods to fit your menu at no additional charge. 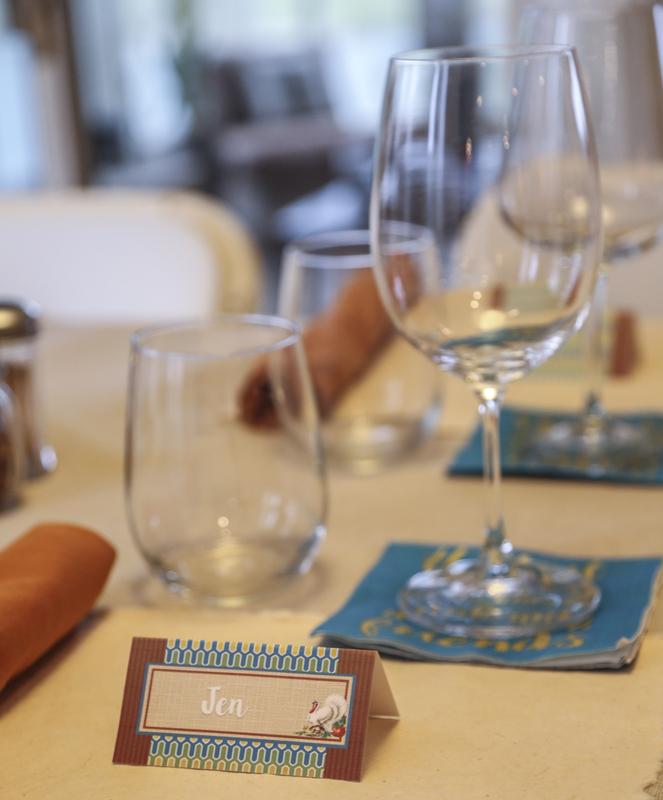 These cards are not only cute, but they help the hostess to stay organized while setting up the food buffet! 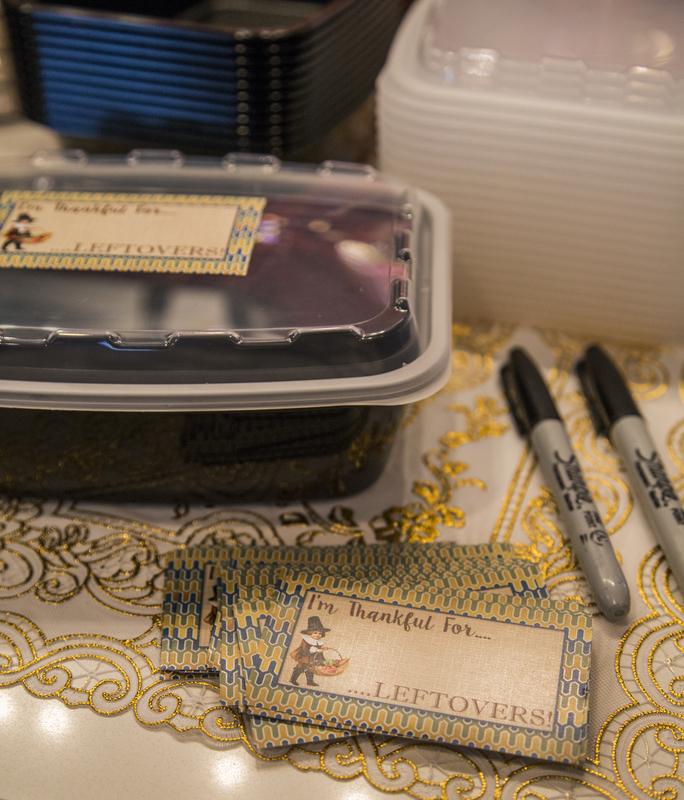 After dinner your guests can pack up their food in to go containers and write their name on these self-stick leftover stickers. 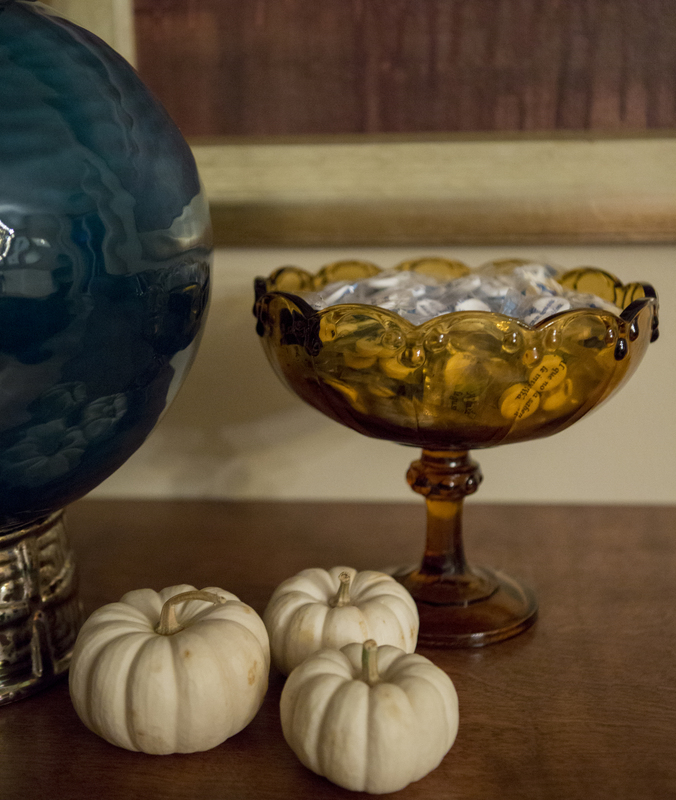 Amber glass accessories found at local thrift shops were used for mints, flanked by mini white pumpkins. Fall candles created a complete Thanksgiving ambiance.